Lettuce - often the beginner gardener's graveyard. Watch the gardening TV programs, read the glossy gardening magazines - it all seems so easy! Sometimes it is, and sometimes it just isn't. GardenAction explodes the lettuce myth and gives you the information you need to successfully grow lettuce where you live. Partial shade. Soil well dug - not acid. Many varieties of lettuce are supremely suited to cooler climates - they are a vegetable for cool conditions, and they need lots of rain. They dislike hot conditions. There are four basic types, cos (also called romaine), leaf (also called loose-leaf), crisphead, butterhead and stem (also called asparagus lettuce). Lettuce are not fussy about soil type as long as it is able to hold water. Their ideal is a soil which is well-drained and well-dug. Clay soil which has been broken down with lots of peat is excellent. Do not apply fertiliser or nutrient rich compost to the soil, this will cause rot. The key success factor with lettuce is to site them in a position which avoids the full blast of the sun in the middle of the day. Lettuces bolt if the weather becomes too hot or if there is a shortage of water. Some varieties of lettuce are more resistant to bolting than others. The varieties Fatima and Dolly (butterhead lettuce) are both slow to bolt. Because lettuce prefer cool conditions (great for the UK) they are ideal vegetables for inter-cropping. That is growing them near to other vegetables which crop at a different time, normally later. Plant lettuce where runner beans, broad beans, peas, brussels sprouts or sweet corn will provide them with shade in the hottest part of the day. If you do grow lettuce near taller vegetables, take care that they are not deprived of water. Lettuce need lots of water to mature quickly and larger crops may take the lion's share of moisture. If this is the case, water the lettuce well in dry conditions. Message: There is a variety of runner beans that is purple on the stem and turns green when cooked. This is perfectly normal! Runner beans need to be picked every couple of days to keep them cropping and producing pods which aren't stringy. Message: I was hopine someone might tell me y my runner beans have been poor cropping this year and have turned purple which turns to green when cooked ??? 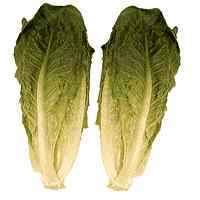 Message: we have been cutting our baby lettuce and eating as we need. The one inch piece left in the soil has started growing again - is this OK - can we eat when grown again?